By fully meeting the national targets they set under the Paris Agreement, South Asian countries can unlock $3.4 trillion of climate-smart investment opportunities , according to Climate Investment Opportunities in South Asia, a new report by IFC. Rashmita Khattoi was born and raised in Bhubaneswar, the capital of India’s Odisha state. After starting her career as an elementary school teacher, she decided to pursue her true love—cooking—and opened her own food truck. But her business selling local delicacies to people returning home from work got off to a slow start. Bhubaneswar’s roads were so poorly lit that potential customers, worried about their safety, hurried on their way rather than linger after sunset. When Amsterdam removed signals from a busy junction, it made journeys faster and interactions more pleasant. Now the approach is being copied across the city. Read more: What happens if you turn off the traffic lights? 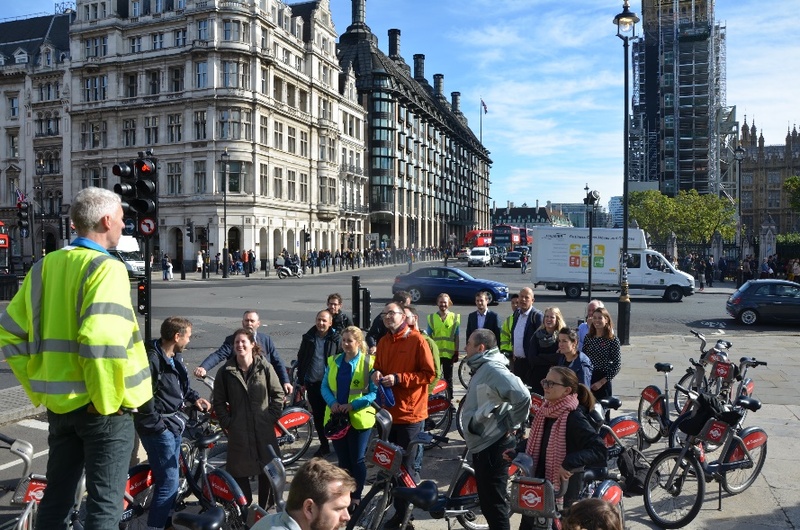 The second Cycle Highway Academy took place in London on the 4th and 5th of October after the successful first edition around “Planning’ in Arnhem in June during Velo-city 2017. ECF are currently involved in an issue that could be a threat to the growth of pedelec use in the EU. The Motor Vehicle Insurance Directive (MID) ensures that when a vehicle is insured for third party liability in one of the Member States, this cover must apply in the territory of all Member States. ECF very much supports this Directive as a way of ensuring cyclists that are involved in crashes with a motor vehicle will have reliable access to compensation from personal and material damages across the EU. The Joint Research Centre (JRC) has released a new study on fiscal incentives and electric vehicle sales, finding a high correlation of financial inducement and the purchase of an electric vehicle. Eight countries were included in the study: France, Germany, Italy, Hungary, the Netherlands, Norway, Poland, and the UK. The researchers performed a pairwise comparison of the total cost of ownership and electric car sales in the countries, allowing for cross-segment and cross-country comparison in the European countries. The findings show that, compared to their conventional equivalents, large electric vehicles have a lower total cost of ownership, higher sales, and seem to be less price responsive than small electric vehicles.